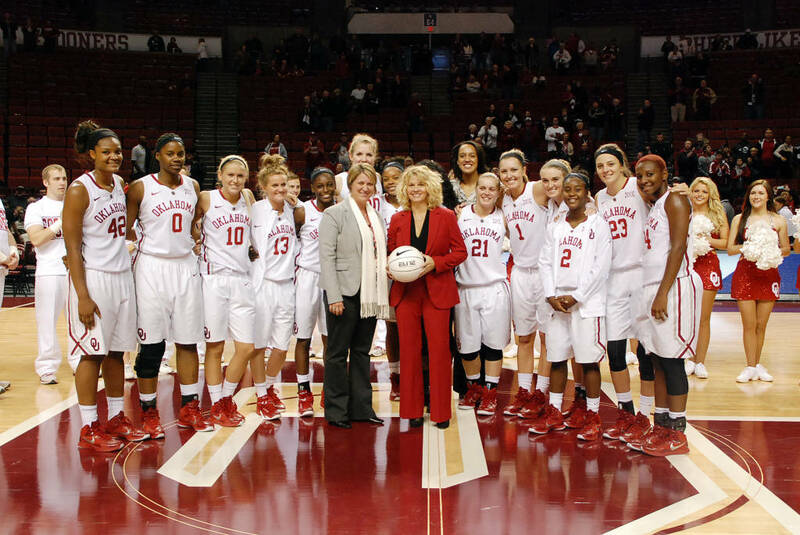 On Friday night, Oklahoma Sooners women’s basketball head coach Sherri Coale won her 400th career game. She received the historic accomplishment following a 90-80 win over the Washington Huskies at the Lloyd Noble Center in Norman Oklahoma. She has spent her entire collegiate coaching career with the Sooners. This is her 19th-year at the school, where she is 400-194 in her tenure. The Sooners were led by Sharon Campbell with 26 points and 11 rebounds. Kayla Williams added 23 points and 10 rebounds. The Sooners also had Nicole Kornet in double figures, who had 14 points and two rebounds. Peyton Little contributed 12 points and 6 rebounds. The Huskies were led by Kelsey Plum, who had a game-high 45 points and four rebounds. Both Talia Walton and Jazmine Davis added 12 points each. The Sooners are coming off of an 18-15 record last season. Prior to that, Coale had 21 or more wins per season for nearly a decade. Prior to her current appointment, she won 197 games in 237 at Norman High School.